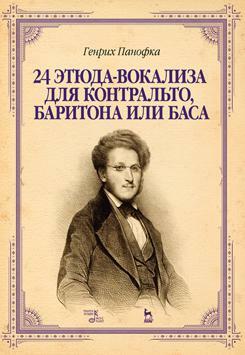 Heinrich Panofka (1807–1887) was a German vocal teacher, violinist, composer. This book contains vocalises for low voices. In the performance of exercise singer works at the singing skill of chromatic and diatonic scales, syncopations, trills and triplets. Book is intended for students of vocal departments of secondary special and higher education institutions, and also for singing teachers.